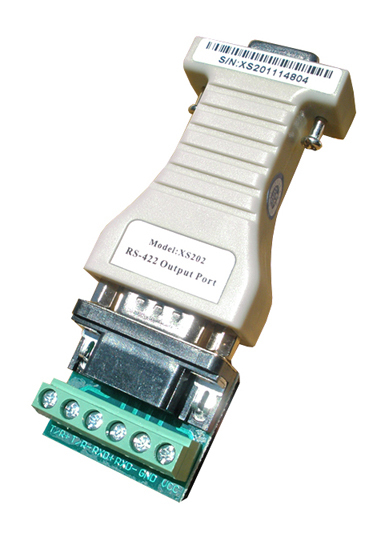 Reliable and economical RS232 to RS422 converter that will fit into any budget. This is a good simple RS232 to RS422 converter which can be used for most applications including industrial, commercial, laboratory and consumer applications. It is port-powered so you don't need to connect an external power supply to power this converter. However, even this converter is port-powered it still has an optional external power connector, in case your RS232 port doesn't provide sufficient power. 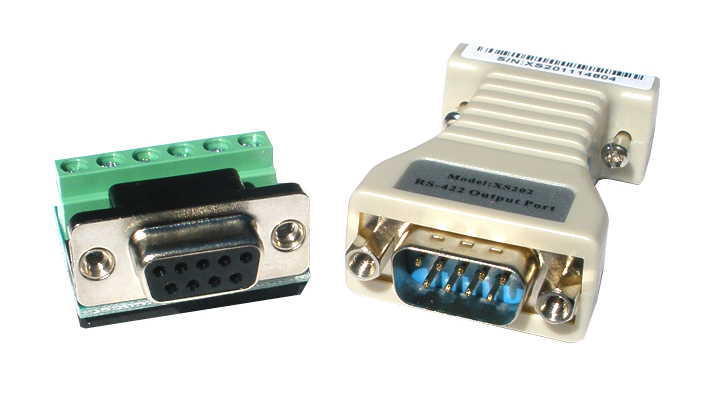 The RS232 side of this RS422 converter is a DB9 female connector and the RS422 side is a DB9 male connector with an optional terminal header included. The terminal header makes it easy to connect single wires to the converter. As all our converters this RS422 converter is bi-directional which means that it converts data in both directions, from RS232 to RS422 and from RS422 to RS232. Simply connect the wires and the converter will do what its best at...converting data! Like most other electronics, finding a product with a good reliable main processor chip is essential. This converter is designed around the super reliable and high performance MAX491 processor chip from Maxim/Dallas Semiconductor and the supporting serial output chip is the Philips74HCT14 from Philips. What more can you ask for? 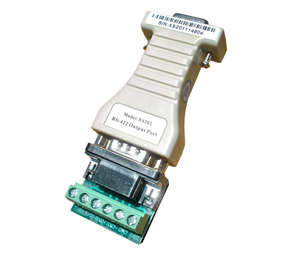 This converter is protected against static electricity and most other fast high-voltage spikes, however if you need full isolation to protect your devices please take a look at our line of optically isolated RS232 to RS422 converters.